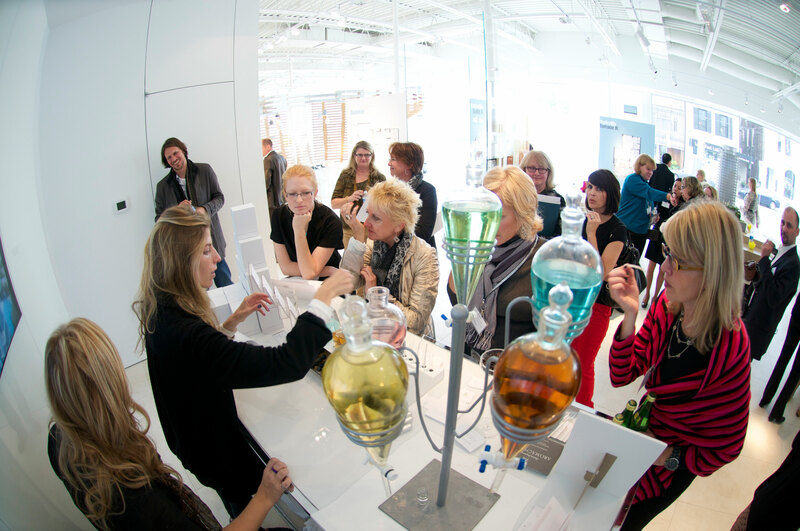 Aromachology’s famed Custom Perfume Bar is the perfect way to entertain and excite your clients, male and female, young and old. Treat them with the creation of their own unique scent blended fresh, on the spot, before their eyes. Get a glimpse at what it takes to make your own perfume and walk away with a beautiful and distinct aroma that is yours and yours alone. Stylists set up our portable Perfume Bar in any given space, entertaining in an intimate setting such as an evening of cocktails with friends or a full scale event with a crowd of hundreds, enjoying a celebratory formal dinner. Designer perfume can be wonderful, but there is simply something about making your own perfume. Thankfully it’s now easier and more exciting than ever. Just let us know your plans!